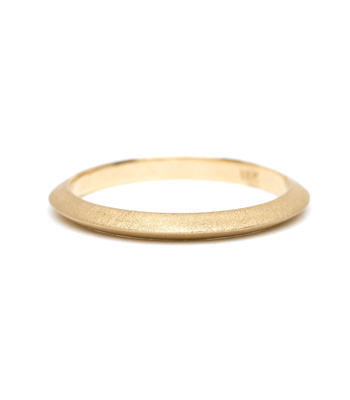 Quite possibly the coolest stacking band that ever was. 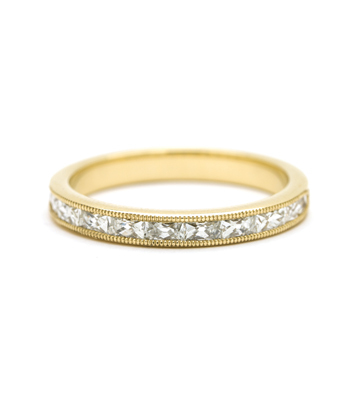 Three elongated inverted-set, hexagonal diamonds wrap around this band, and are punctuated with tiny gold beads in between. 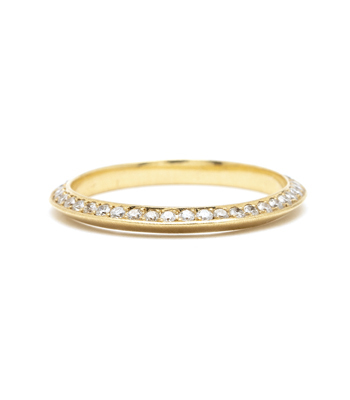 The diamonds’ crisp step cut and crystal-like forms create the perfect blend of boho beauty and modern sophistication. 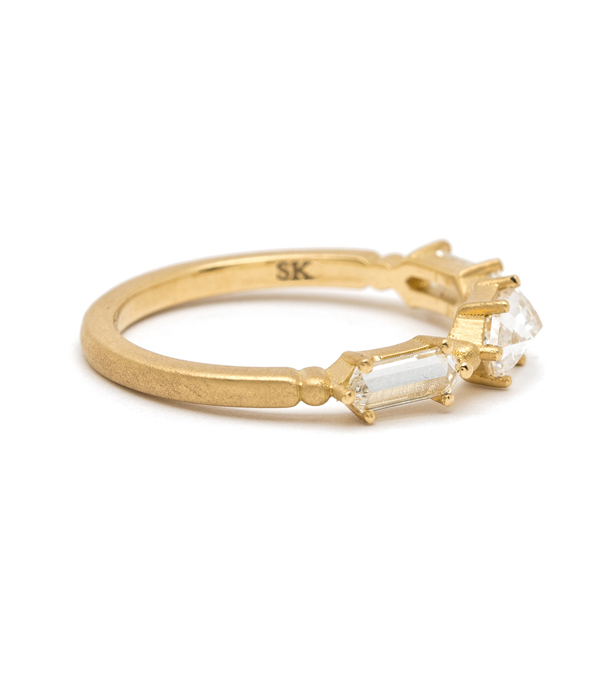 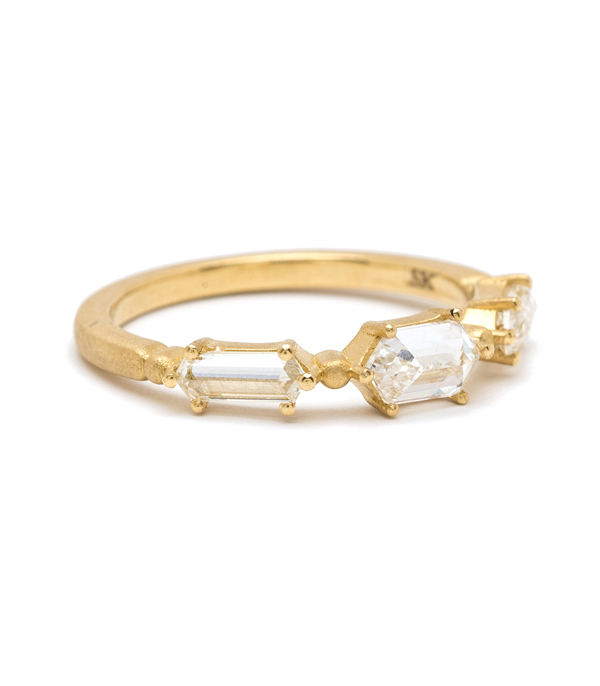 This one-of-a-kind ring would make an incredible engagement or wedding ring for the the chicest of brides or equally delight as an unforgettable stacker. 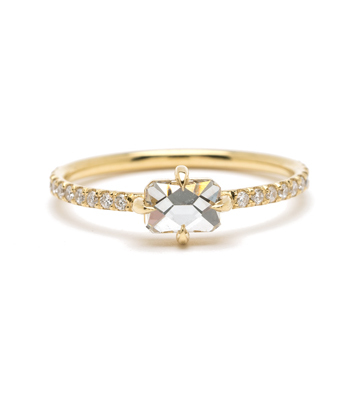 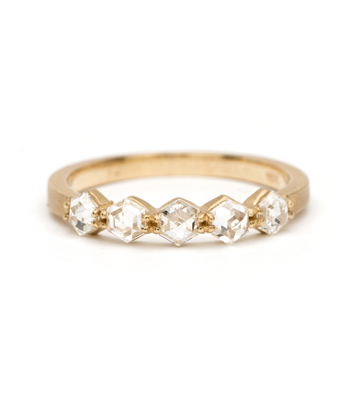 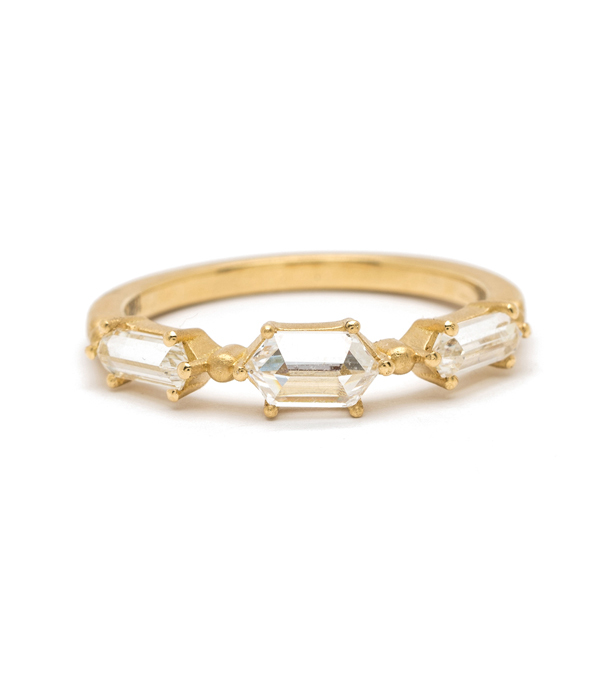 However it’s worn, this exquisite ring speaks our kind of geometry! 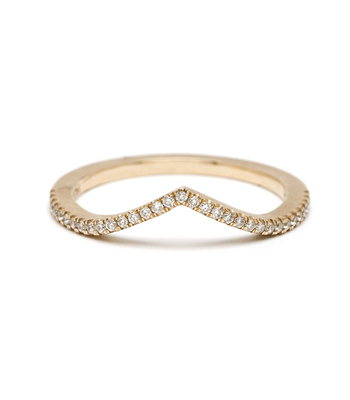 Categories: City Sophisticate, One of a Kind, Rings, Stacking Bands, Stacking Rings, Women's Wedding Bands.